You love creating art or photography. But when you turn your passion into a business, it also comes with extra tasks. There’s preparation for art shows, display of your work, and printing and shipping orders to customers. And all of that takes away time you could use to create the work that inspires you. If only you had an assistant who could handle all that while you focus on your real passion. Now you do. American Frame has just launched the Art Assistant customer support program. It’s a personalized custom frame service that helps make your artistic vision a reality. Use the online form to tell us a little about yourself and your project, and we’ll assign a design and framing expert to guide you through it. 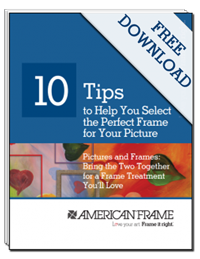 They can help you create a framing treatment, assist you with volume framing, offer framing advice, or frame your work for you and mail it back. Fulfilling customer orders? Your Art Assistant can handle that as well, through drop-ship or white label fulfillment. Whatever your project, your Art Assistant will ensure you’re satisfied every step of the way. And the best part? This service is free. You only pay for the frames, mats, prints, shipping, or other materials and services you order. So go ahead, keep your eyes on your artwork or the images you capture behind your lens. We’ll take care of everything else. Connect with your own Art Assistant here. Sounds like a good addition to the American Frame website. I'll have to try it out sometime. Hope you will be happy to work with him! Now check https://eduessayhelper.org/blog/literary-analysis-outline this website. You will find me there and we could talk some more!